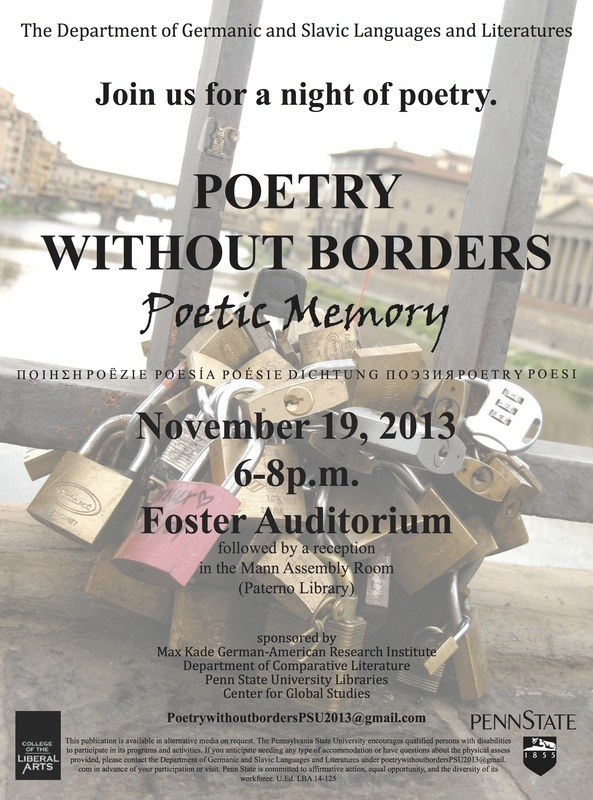 Poetry Without Borders is an annual, university-wide, student-run poetry reading forum where students and faculty expose the audience to different languages and cultures. 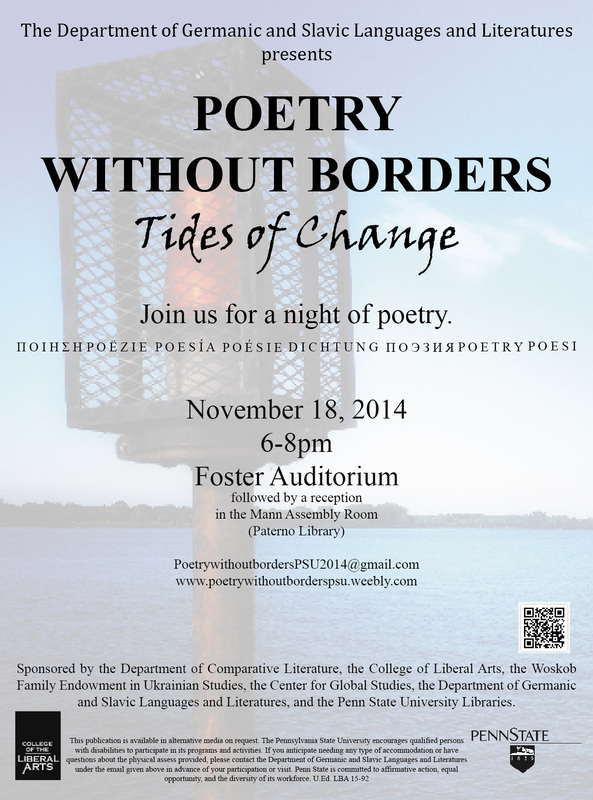 The event aims to bring together people with different backgrounds and passions. In the past, we had contributions from languages such as German, Chinese, Mongolian, Kazakhs, Norwegian, Vietnamese, Indonesian, Turkish, Hebrew, Dutch, Russian, Ukrainian, and Portuguese, and students and faculty from different majors and research fields. 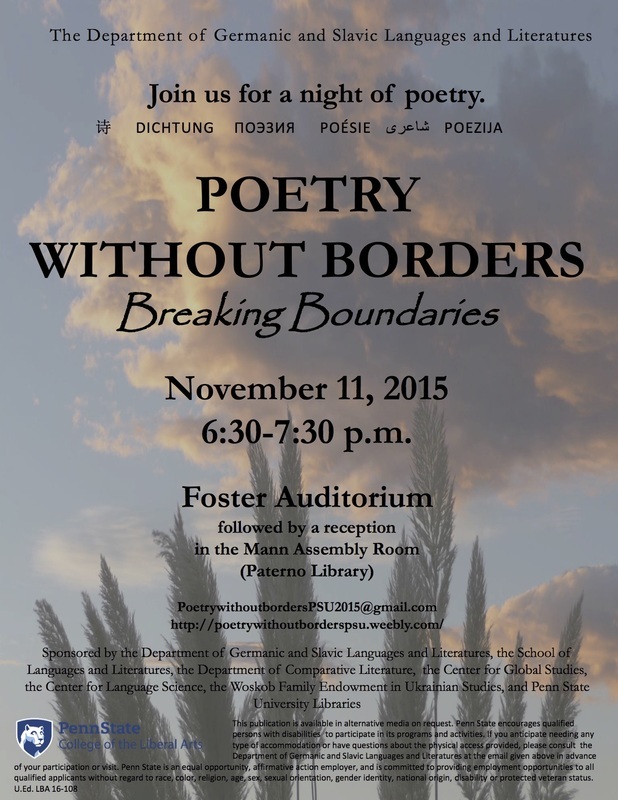 The 2019 theme is “Overcoming Walls: Poetry and the Pursuit of Freedom”, in remembrance of the 30th anniversary of the Fall of the Berlin Wall. 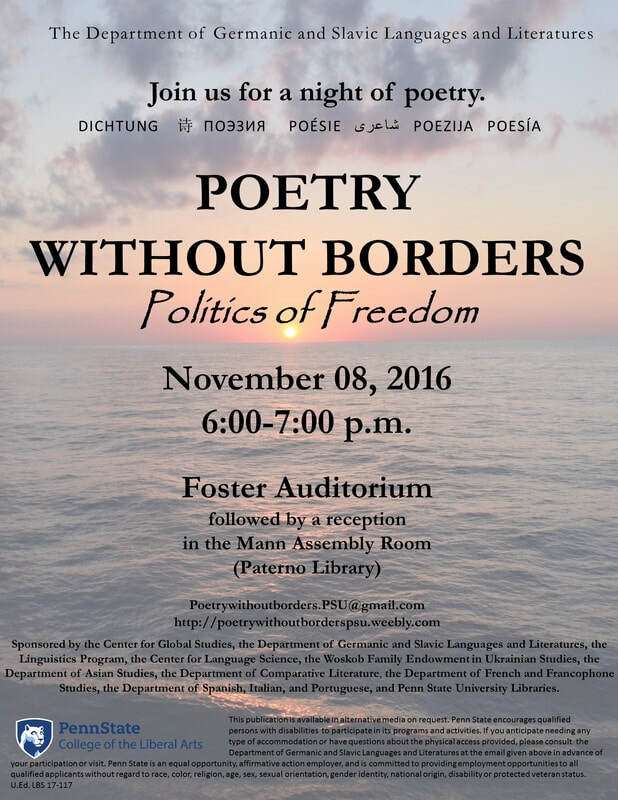 Now in its 7th year, Poetry Without Borders not only fosters a continued appreciation for literature that binds together all cultures, but also encourages student leadership. Join us March 27, 2019, and support coordinators, volunteers, presenters, and audience members to continue their involvement with literature and commitment to diversity at Penn State. 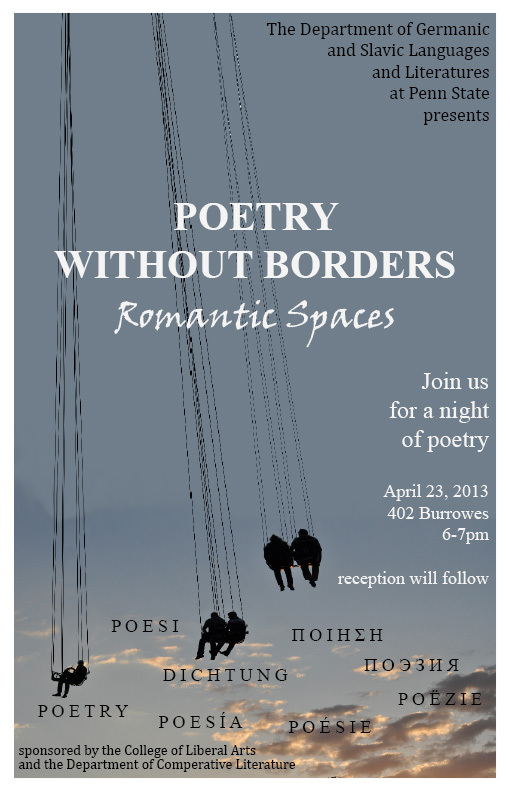 If you would like to read a poem in a language other than English, send us a message by clicking on the email button on the left. The Department of German and Slavic Languages and Literatures; the Department of Comparative Literature; the Department of Asian Studies; the Department of French and Francophone Studies; the Department of Spanish, Italian, and Portuguese; the Woskob Family Endowment in Ukrainian Studies; the School of Global Languages, Literatures, and Cultures; the Center for Language Science; and the Penn State University Libraries. Photos by Lauren Brooks and Juliane Schicker.